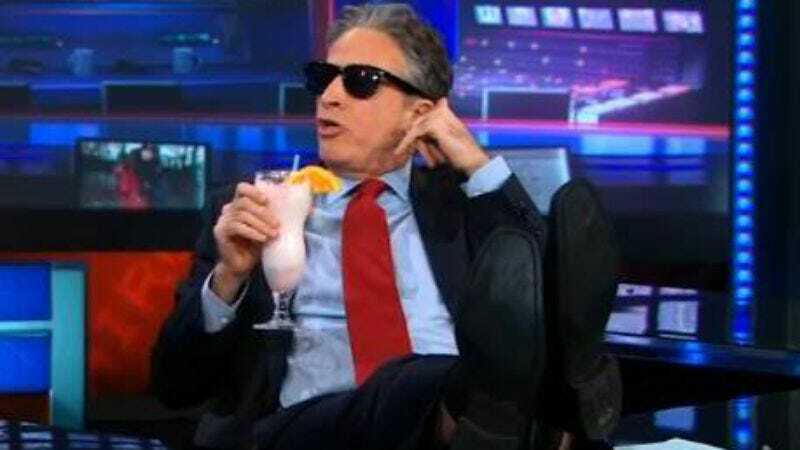 We already knew Jon Stewart would be taking a “summer vacation” from The Daily Show in order to film his directorial debut, Rosewater, about BBC journalist Maziar Barahi’s coverage of Iran’s 2009 presidential election and subsequent imprisonment in an Iranian jail for 118 days. But now we have the exact dates of that break: Comedy Central has announced that John Oliver will take over hosting duties on June 10, joined that week by Seth Rogen, Veep creator Armando Iannucci, Mavis Staples, and Fareed Zakaria. And Stewart will return just after Labor Day on September 3, presumably not-at-all-rested.